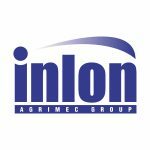 Since 1984, the Inlon Group of Companies has been supporting the Australian Farming Industry as a national distributor of quality machinery products. Based on the Central Coast of NSW, the Inlon Group proudly supplies a range of leading tractors, implements, specialty items and mowing equipment to Australian farmers and contractors through a network of national dealers. In addition to this a full range of parts and back up services are available. With a strong focus on providing quality products with exceptional value for money, all Inlon products can be relied upon for years to come in tough Australian farming conditions.